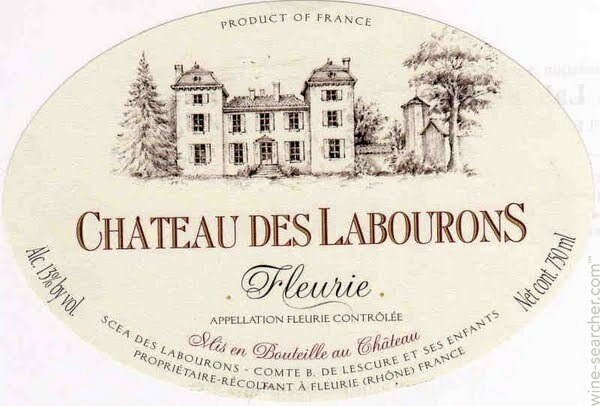 CRUS CONTROL: Deep in the Beaujolais region of France is the Fleurie appellation, above, known for its fresh, fruity and age-worthy crus, one of ten. 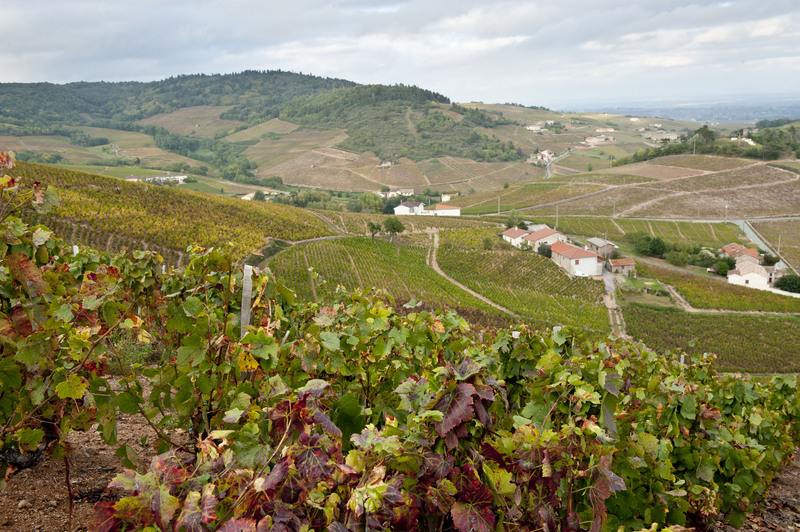 A perfect storm of positive marketplace trends is boosting the 10 crus of Beaujolais to new prominence and popularity. Merchants, restaurateurs and somms, together with customers, are definitely taking notice of the wines’ intrinsic quality/value appeal. Long in the shadow of Beaujolais Nouveau, the 10 crus of Beaujolais—Brouilly, Côte de Brouilly, Chiroubles, Chénas, Fleurie, Juliénas, Morgon, Moulin-à-Vent, Régnié and Saint-Amour—posted a robust 63% sales gain in the U.S. during the first six months of 2016 versus the same period in 2015, according to French Agriculture ministry data. Georges Duboeuf is credited with raising the image and sales of all levels of Beaujolais, from nouveau to cru, into worldwide renown and respect. 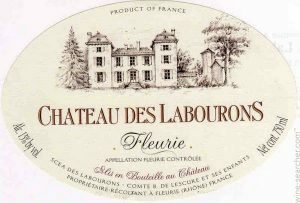 And, as attention around Beaujolais nouveau dispels after the holidays, this has opened the door to permit greater focus in the trade on cru Beaujolais offerings, says Pascal F. Salvadori, Vice President, Senior Portfolio Manager & Director of Education, Esprit du Vin (Palm Bay), which represents Château de La Chaize from Brouilly. The Gamay grape’s intrinsic food friendliness also signals a new, more sustained year-round opportunity to encourage trial and upselling to Beaujolais crus. 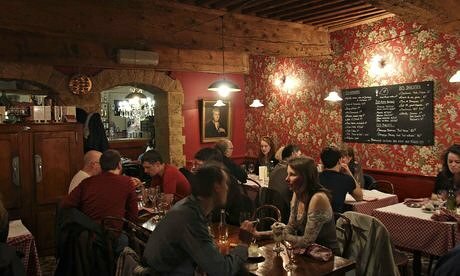 In Lyon, ‘bouchons’, small, intimate restaurants such as this above, Bouchon des Filles, serve up heaping portions of roasted chicken, crisp frites and chilled carafes of crus Beaujolais. 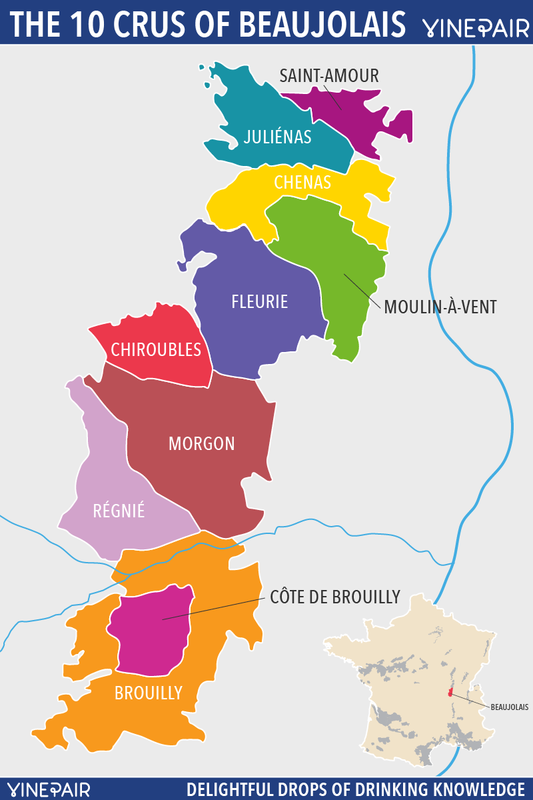 All in all, thanks to a confluence of market trends, there’s no better time than now to introduce customers to the 10 distinctive, terroir-driven crus of Beaujolais. The author wishes to thank Beverage Media for permission to adapt this article from its January 2017 issue on pp. 22-23. 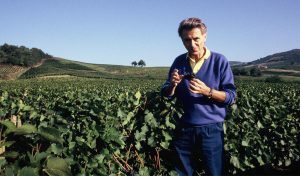 This entry was posted in French wine, Libations, Uncategorized, Wine, Wine Business and tagged Beaujolais, Cru s of Beaujolais. Bookmark the permalink.